Members from the Valletta 2018 Foundation recently visited Leeuwarden, the Dutch Capital of the Friesland region, which will be co-hosting the European Capital of Culture title during the year 2018. Valletta 2018 and Leeuwarden 2018 are eager to collaborate with each other, coming up with projects that will benefit both their local cultural activity as well as international cultural relations. 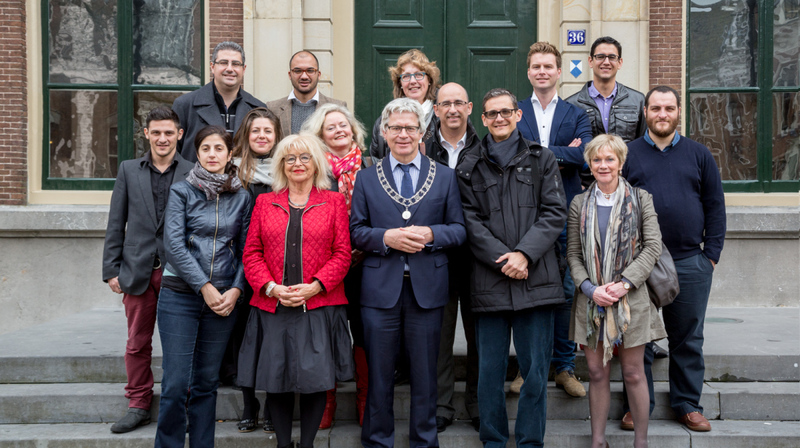 Executive Director Dr Karsten Xuereb and Programme Coordinator Margerita Pulè met with a number of Leeuwarden 2018 members responsible for programming and communications. A series of discussions were held to strengthen current collaborative projects as well as exploring ideas for future projects using different media such as television, radio and newspapers. Dr Xuereb and Ms Pulè also met with the Mayor of Leeuwarden to discuss strengthening education ties between MCAST – Malta College of Arts, Science and Technology, and D’Drive, Friesland College, both of which offer similar programmes of study. Dr Xuereb and Ms Pulè also visited a few of the 11 cities participating with Leeuwarden 2018 in hosting the title of European Capital of Culture. Dr Xuereb was also interviewed by the Dutch media in which he commented about the healthy relationship between the two cities up to the run of the year 2018 and beyond. Currently, there are a number of ongoing projects and initiatives between the two cities. To strengthen education ties, students from MCAST and from D’Drive are currently partaking in a student exchange programme through Erasmus Plus funding. Projects between Valletta 2018 and Leeuwarden 2018 include the Culture of Ageing project, Poetry in Potato Bags and Behind the Front Door – of which Minn Fomm il-Bormliżi is a pilot project.